Pick a winner or none of the above? The games industry has long been acknowledged as a lucrative business to be involved with, which is why reports from market analysts on the prospects for new consoles command such attention. The latest, from respected analysts IDC, comes to the conclusion that none of the next-generation games machines currently on sale is likely to lord it over the others. The report excerpt (the full hit will cost you $4,500 [£2,295] - see what we mean about the cash in all this?) does, however, conclude that Nintendo will be top of the pile in the short run. 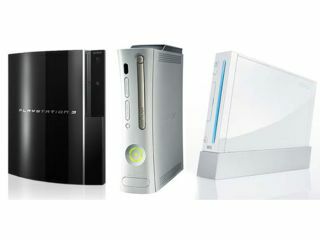 Analyst Billy Pidgeon says, "...none of the three new consoles will dominate the market in the next five years like the PS2 dominated last cycle; however, Nintendo's Wii will outship and outsell the [Microsoft Xbox] 360 and [Sony] PS3 in 2007 and 2008." Considering that we're already seeing the Wii forging ahead, that much doesn't bring a great deal to the table, although we can't help but wonder if the soon-to-be rumbling PS3 might spring a few surprises.